For much of the last millennium, Yiddish was the lingua franca of the Ashkenazi Jews of Central and Eastern Europe. For much of the last millennium, Yiddish was the lingua franca of the Ashkenazi Jews of Central and Eastern Europe. A unique blend of old German, Hebrew, Aramaic, and Slavic languages, it reflects the religious, social, and economic challenges and triumphs of the Jewish people. While Hebrew was reserved for prayer, Yiddish is the language of study, conversation and celebration. 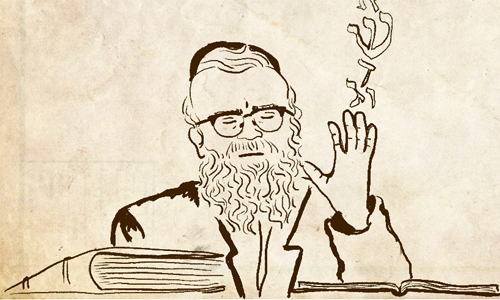 Why Do Jews Still Insist on Speaking Yiddish? Where does the name "Yiddish" come from? Quiz: Do You Know Enough Yiddish to Order a Bagel in New York? Quiz: Do You Know Enough Yiddish to Order Cholent in Monsey?